A custom cedar mantel is an attractive addition to almost any fireplace setting. See our Facebook page to find out how our mantels are crafted and for more examples of our work. Cedars mantels provide an attractive, natural counterpoint to almost any surface, providing a sustainable, durable, and lovely addition to your fireplace and room. The rich, deep red color makes the cedar mantel a versatile piece for a variety of settings. Each cedar mantel is hand-crafted and built to your specifications. Our mantels can be customized with a variety of finishes. We scour the forests of the Southeast in search of unique and exceptional specimens. 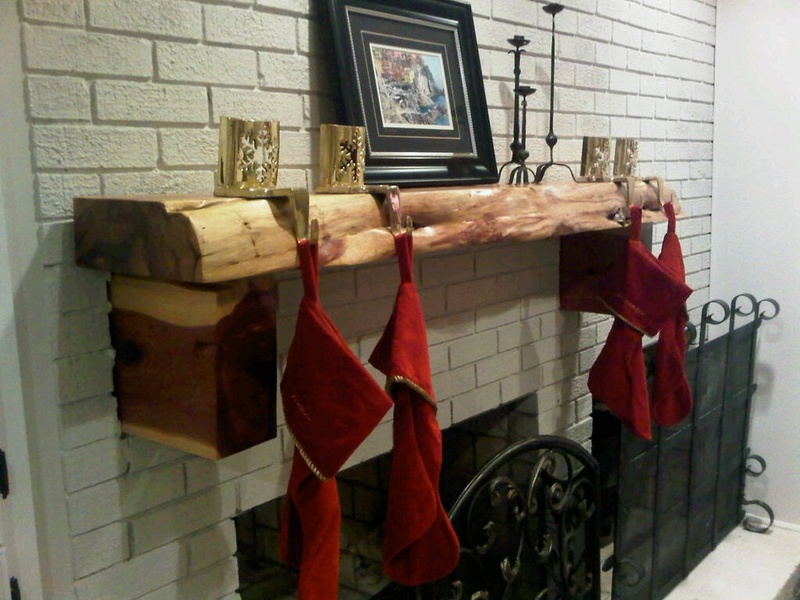 We can also craft your mantel from maple, walnut, red oak, white oak, and ambrosia maple. Each project is unique and one of a kind! Please visit our website @ www.ChampionBranch.com about possible mantel and furniture solutions for your home. We would love to speak with you at your earliest convenience. This Ambrosia Maple mantel contains streaks across the face of the mantel caused by the Ambrosia Beetle. As the beetle burrows through the wood it leaves very unique markings.